At Bijoux Extraordinaire we are jewelry designers, appraisers, gemologists and historians who share your love of fine jewelry and gemstones. To learn about our custom jewelry designs, appraisal and gemological services, and antique and estate jewelry, please visit the following galleries. Judi Anderson, president of Bijoux Extraordinaire and chief jewelry designer, is a GIA Graduate Gemologist (GG), Fellow of the Gemmological Association of Great Britain (FGA), a Certified Member of the International Society of Appraisers (ISA) and an AGS Certified Gemologist Appraiser. 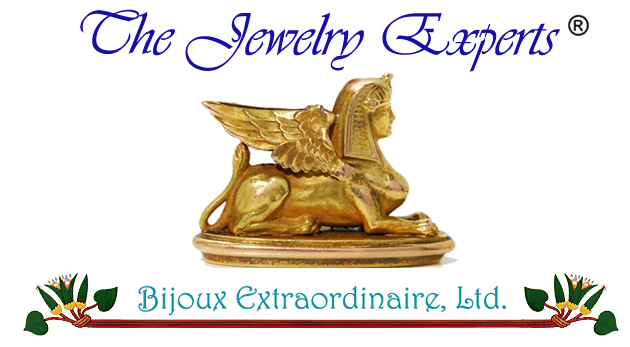 Bijoux Extraordinaire and Antique Jewelry. by following us on Pinterest and Twitter.